In a post the other day, I mentioned that I had cached a pattern with my Imagine. I received several questions about how to do this, so I decided to make a quick video. If the above card looks familiar, that's because it's the Father's Day card I posted a few weeks ago. Today I cached a pattern from Lori's Garden and used it to make a coordinating envelope from All Wrapped Up. 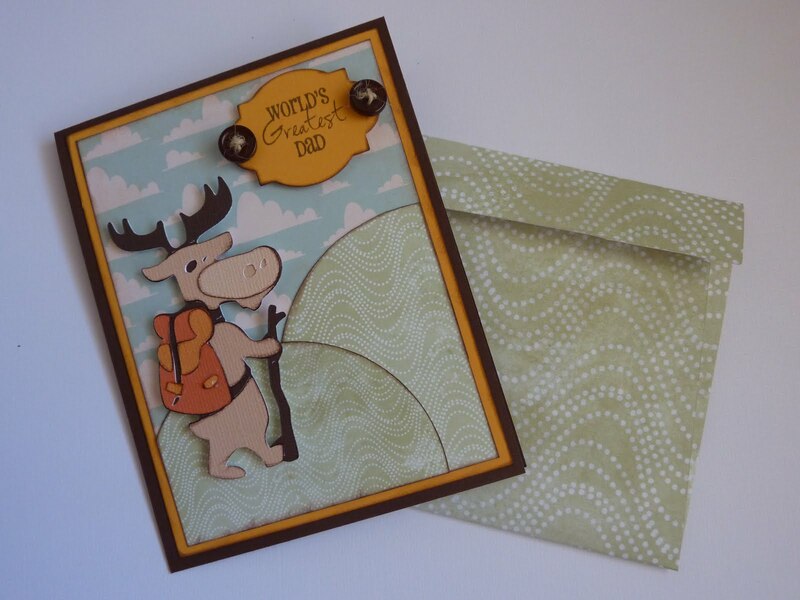 Click here for my post on how to make the actual card. Thanks for sharing I definitely have got to try this. THANK YOU SO MUCH FOR THE TUTORIAL!!!! GREAT INFORMATION!! Now I'm going to try it!! Great tutorial. I don't have an imagine yet but it is nice to learn about all you can do. It is more that I can tell my husband in my argument that I need one!! Katie, I can't wait to watch your video when I get home. Thanks for making this! OMG... I needed this video when I did my milk carton project! THANK YOU for doing this! I did the hard way! I will definetly be back to watch any more videos. You already know how much I LOVED your Father's Day card! Thank you so much! I never knew this could be done. Can't wait to try it! I was just thinking today of what a shame it is that we can't use two Imagine cartridges at the same time. So glad I happened across this video today. Thank you, thank you, thank you for the tutorial! Thanks so much for taking the time to post the video. What a great option for us! I love all the projects on your blog. You're a very talented lady! Thanks for all of the trouble you went to show us how to cache a pattern. I am a newbie imagine and this really helped.